What to do when a financial institution doesn't want your transactional deposits. 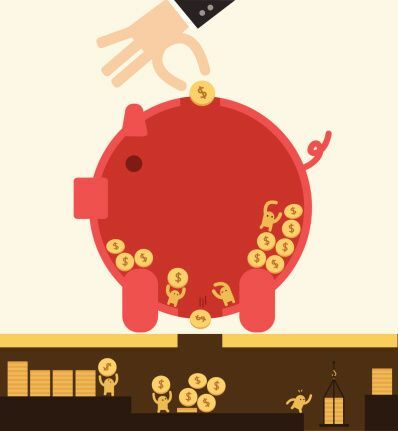 The new bank deposits dynamic is putting some treasurers and other cash managers in a bind. When banks have to hold higher reserves against corporate deposits, these deposits become unattractive as a means of funding loans — so unattractive that financial institutions are motivated to move the excesses off their balance sheets or charge fees to companies for holding their money. While financial regulations such as the liquidity coverage ratio and the net stable funding ratio may be making big banks safer counterparties, they are also forcing financial institutions to restructure their balance sheets. The result: institutional depositors are forced to pay FDIC assessment fees for their deposit balances. Worse, perhaps, their non-operating deposits may be turned away altogether. Exacerbating the trend are the new regulations making money market funds less attractive places to park cash. In the next year money market fund sponsors have to move from fixed to floating net asset values, if they have not already done so. They will also gain the ability to impose redemption fees and exit gates on investors to prevent them from exiting funds in a panic. All this comes at a time of great liquidity for many businesses. According to the Federal Reserve’s Flow of Funds data, checking account balances have grown 58% the last 10 years; time and savings account balances, 40%; and foreign deposits, 16%. Where is a treasurer to put all this cash, especially in an interest rate climate that will probably remain near historical lows for another two years? 1). Deepen existing bank relationships: “It is evident that banks prefer to retain operating deposits,” as opposed to non-operating deposits, says CAG. “An account is considered an operating deposit when it is part of a depositor’s overall banking relationship including corporate trust, treasury services, and credit facilities.” By consolidating banking services to a smaller number of banks, a business becomes a more attractive client to the bank. 2). Liquidity is the name of the game: “Depositors like to improve liquidity by staying in overnight deposits,” says CAG, while “banks like to improve liquidity by accepting long-term deposits. This tension creates a liquidity-yield trade-off that presents both challenges and opportunities.” CAG recommends that companies try to improve their liquidity forecasting and management enough to reduce transaction account balances and stash more cash in long-term certificates of deposit. 3). Try alternative liquidity vehicles: “Challenges in corporate transaction deposits and prime money market funds open up opportunities to alternative liquidity vehicles,” says CAG. Alternatives include separately managed accounts (SMAs), direct purchases of government and corporate debt, repurchase agreements, private liquidity funds, ultra short-term bond mutual funds, and exchange traded funds (ETFs). “Few alternative vehicles, [however], can truly replace the functions of transaction accounts,” says CAG. CAG also sounds a word of caution about higher interest rates. “Normalization” of interest rates may sound good for depositors, but the “yield on time and savings depots, set by individual banks, tends to lag some of the other liquidity vehicles,” whose yields are set by the financial markets, says CAG. Translation: meaningful increases in the yield on bank deposits may not happen for awhile. Additionally, amid all this, CAG still thinks it imperative for treasurers to incorporate deposit relationships into counterparty risk management. “Deposits as unsecured lending to banks need to be combined with credit exposures from money market funds, direct debt security holdings, derivatives, and trade finance contracts,” counsels CAG. Did you think a safer, more stable banking system wasn’t going to come with headaches?